I have a special Halloween treat for you. 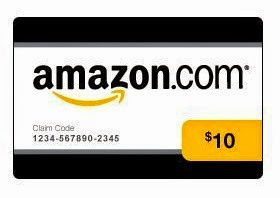 For the next 36 hours, you could win a $10 Amazon gift card or PayPal cash by entering this flash giveaway. Giveaway ends 10/26. Open worldwide 18+. Please note that you can share this giveaway for up to 5 times per day on Twitter and/or Facebook to receive extra entries. That's why you'll see Tweet #1-#5 and Facebook share #1-#5 on the entry form. You're advised to space out the shares to avoid upsetting your followers. Act fast and good luck!